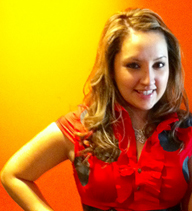 Born in El Salvador, Nancy Carolina Flores experienced an early childhood in a war-torn country. Her parents immigrated to the United States when she was three years old, residing first in the bustling city of New York, then relocating to Maryland a few months later. Nancy Carolina later went on to attend the University of Maryland, earning a bachelor’s degree in Studio Art in 2006. The variety, individuality and preciseness present on earth, heavily influence the style of Nancy Carolina’s works. Nancy Carolina is still motivated by the traditional artwork that is found in El Salvador today. El Salvador’s artists often use bright traditional colors and patterns in their replications of villages, people, animals, and nature which shadow the works of Fernando Llort’s, a native of El Salvador. She finds inspiration in the revolutionary works of Georgia O’Keeffe, Andy Warhol and of course, Fernando Llort, and is attracted to the vibrant colors, shapes and textures of the natural world. She creates bold and bright paintings that try to invoke various emotions from those who gaze upon her work. Ranging from abstract and enlarged blossoms to complicated expressionist pieces, her paintings are as diverse and beautiful as the still life’s she represents, while evoking her creativity and personality onto each work of art. I am motivated by life around me. I also listen to music when I do anything creative. It motivates me to glide my paintbrush across a painting and sometimes I tend to move my brush based on the rhythms of the music I listen to. What do I listen when I paint? Anything. I get inspired every day by the people I meet and the places I see. I love to take a few minutes of my day to wander the streets of D.C. and just watch life around me. I also tend to look at paintings from artists that have lived life before me. Some of their art inspires me. Even when I am exhausted, I still continue to paint. I enjoy when others tell me they love a painting just as much as I do and it inspires me to create more. I do not shy away from projects I’ve never done before nor canvases I’ve never used before.